Fungus Fair is now brought to you by the Turnagain Arm Mycological Society. More info including how to join and a schedule of club meetings can be found here. The Pacific Northwest Fungus Master is back! Author of Mushrooms of the Pacific Northwest (a must-have reference for this part of Alaska) and Tricholomas of North America, Steve will once again grace us with his vast myco-knowledge. He has been identifying and photographing mushrooms and studying their ecology for over 30 years. Steve belongs to the Mycological Society of America, North American Mycological Association, and the International Mycorrhiza Society, writes for several mycological publications, and frequently serves as foray mycologist or invited lecturer for mycological societies and other nature groups. 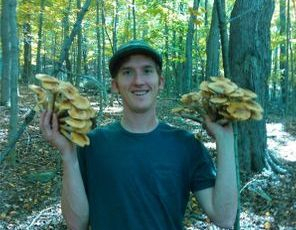 His research interests include the roles of fungi in forest nutrient cycling (bio excerpt borrowed from Timberpress). Copies of his books will be available for purchase at the Fungus Fair, along with autograph opportunities! 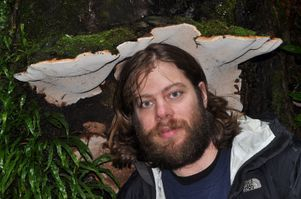 Noah’s field mycology skills are extensive – he has spent over two decades seeking, photographing, identifying, and furthering his knowledge about all aspects of macrofungi. He has hunted for mushrooms throughout the United States and Canada, as well as on multiple expeditions to New Zealand and Australia. He is one of the premier mushroom photographers in the nation, having won numerous awards from the North American Mycological Association (NAMA) photography contest. His technique and attention to detail are unrivaled, arising from a philosophy of maximizing utility for identification purposes while maintaining a high degree of aesthetic appeal. His photographs have appeared on the covers and have been featured in articles of multiple issues of FUNGI Magazine and Mushroom the Journal, the primary mushroom enthusiast magazines in the United States, numerous mushroom books, as well as many club publications.He just finished, along with Christian Schwarz, Mushrooms of the Redwood Coast, a comprehensive guide for the northern California coast. Noah travels and lectures extensively across America, following the mushrooms from coast to coast, and everywhere in between. Sam is a fun guy. He studied mycology at the University of Wisconsin La Crosse with Dr. Tom Volk, where he received both a Bachelors and a Masters degree in Biology. Although adept at mushroom identification, his knowledge base incudes molds and crust fungi, general physiology, ecology, phylogeny, genetics, medically relevant fungi, culturing, growing, cooking and eating. He has given talks and helped teach workshops in Wisconsin, New York, Maine, Georgia and Alaska. Gabe DeGange and Allison Dunbar started Far North Fungi in January 2017.Their mushroom journey began much earlier. They were both inspired to pursue mushrooms by a speech given by a famous mycologist at the Bioneers conference in 2011. Allison watched in the audience in California while Gabe watched remotely in Alaska. Two years later, Gabe and Allison would meet at Paul Stamets' Fungi Perfecti mushroom cultivation conference. 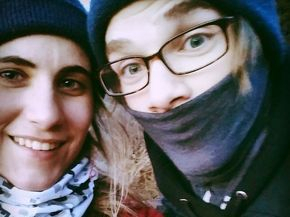 Their connection over mushrooms grew stronger as Allison worked on a mushroom farm in Atlanta and Gabe dreamed of starting his own mushroom business. In the Summer of 2014, Allison came to visit Alaska and see the progress Gabe was making on his business. After networking and exploring the great Alaskan outdoors, they decided it was advantageous to combine their skills and become business partners.Through much hard work, second jobs, trials and errors, the mushroom vision was realized and Far North Fungi was born. Teresa Paquet is a fungus dye hobbyist who was first introduced to dyeing with mushrooms in 2011 and has attended many dye workshops since. “I enjoy the process and the results, which are typically a surprise. You never know what you are going to get!” She is a member of the Turnagain Arm Mycological Society and has assisted with dye workshops held at the Girdwood Fungus Fair over the last several years. and co-authored the Mushrooms of the National Forests in Alaska brochure. 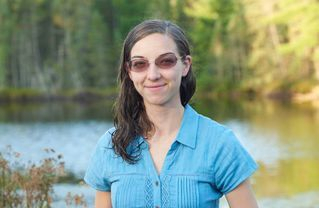 She received her undergraduate degree in Biology at Lewis and Clark College in Portland, OR and completed a Masters in Plant Science at Montana State University in Bozeman, MT studying mycorrhizal fungi associated with whitebark pine. She has been collecting fungi in Alaska since 2006, with annual trips to the west coast in the fall to extend the mushroom season. Christin studied the potential for oyster mushrooms to clean up diesel for her master's thesis at UAF. She has degrees in Biology and Environmental Science from Oberlin College, and studied amphibian chytrid at Cornell in undergrad. In Alaska she has taught mushroom classes from McCarthy to Denali to Bethel, mostly with arctic mycologist Dr. Gary Larusen. Now she lives in Anchorage and loves to look for all species of mushrooms!